Halloween is one of my favorite times of the year! I love the crisp fall weather, carving pumpkins, corn mazes, and of course, the excitement the children feel for dressing up in costumes and trick-or-treating. Every year, I try to document as much as I can to remember all of the details. One of my favorite details to photograph is jack-o-lanterns, with only the candle as my light source. These can be tricky to shoot. Don’t be afraid to crank your ISO up as high as you can if you’re hand holding, to use a tripod. To capture our jack-o-lanterns this year, I used the following settings: 50mm f/1.2 ISO1250 SS1/100. 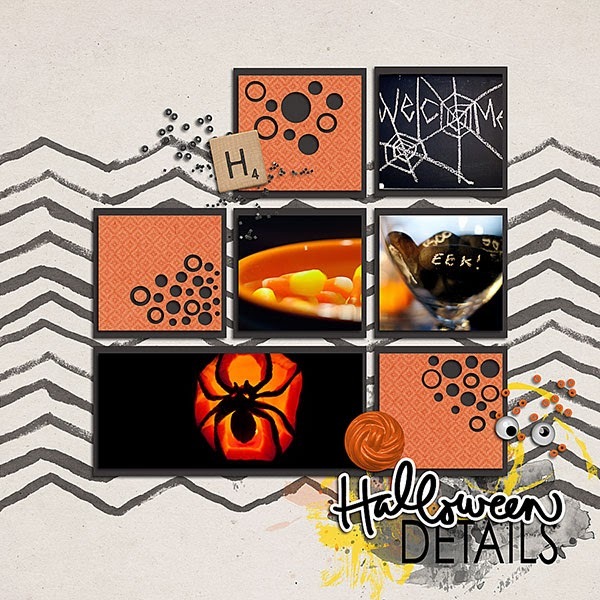 Using the new listmaker templates from Jimbo Jambo Designs, I'm able to scrap all of my favorite details from Halloween!